As of January 14, 2014, Steel Windows and Doors USA has become the first ever company to offer an impact rated thermally broken system! It is available in a wide range of materials such as thermally broken galvanized steel, bronze, corten and stainless steel. 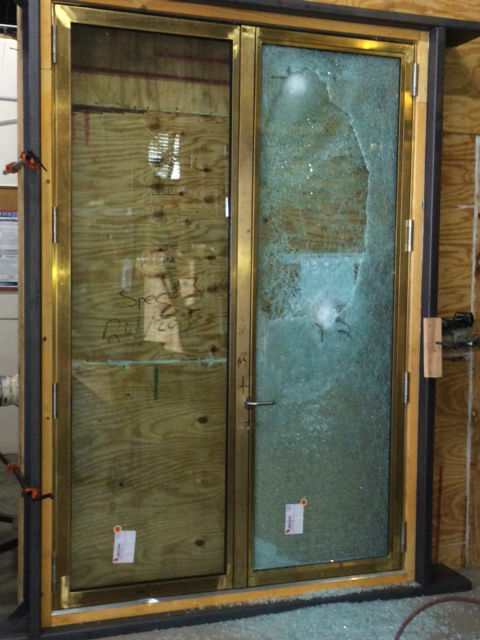 This allows Steel Windows and Doors USA to not only offer a superior thermally broken product, but also one which can now be used wherever an impact rating is necessary with a DP rating of 65psf. Now that Brombal USA has secured this certification, we can offer it in areas that require impact and hurricane certification. Stay tuned for Parts 2 and 3 of this blog where we discuss other newly certified Brombal products and take a deeper look at the requirements and testing procedures involved in certification. Full details on the testing procedures and results will be available in an upcoming blog! To see the video watch below.